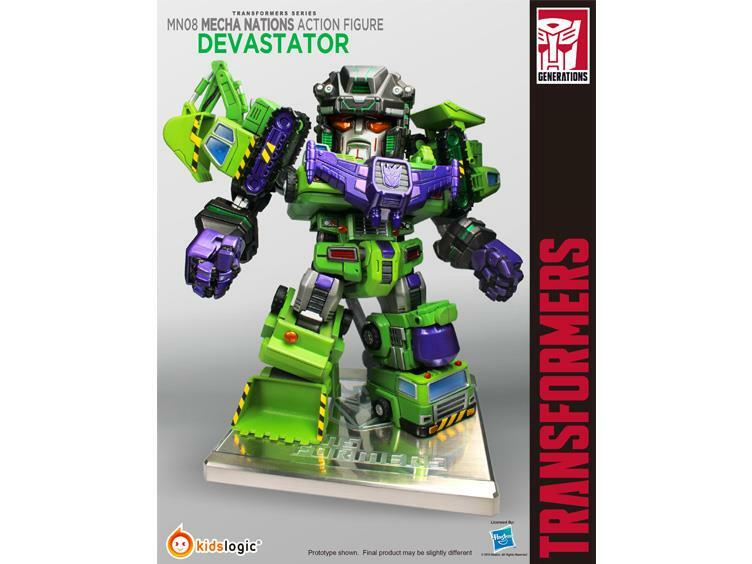 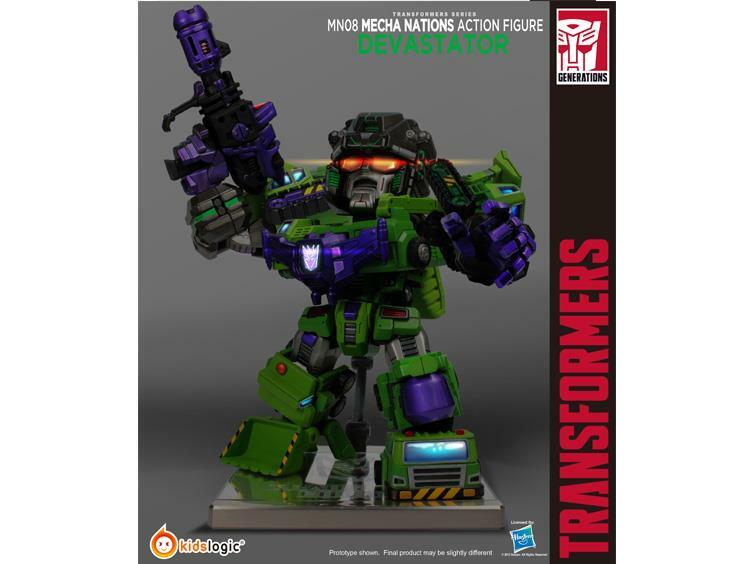 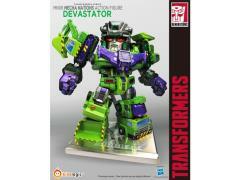 The MN-08 Mecha Nations Devastator features a detailed sculpt with metallic paint effects. The figure also includes a weapon with light effects and 3 interchangeable hands with individual finger movement. 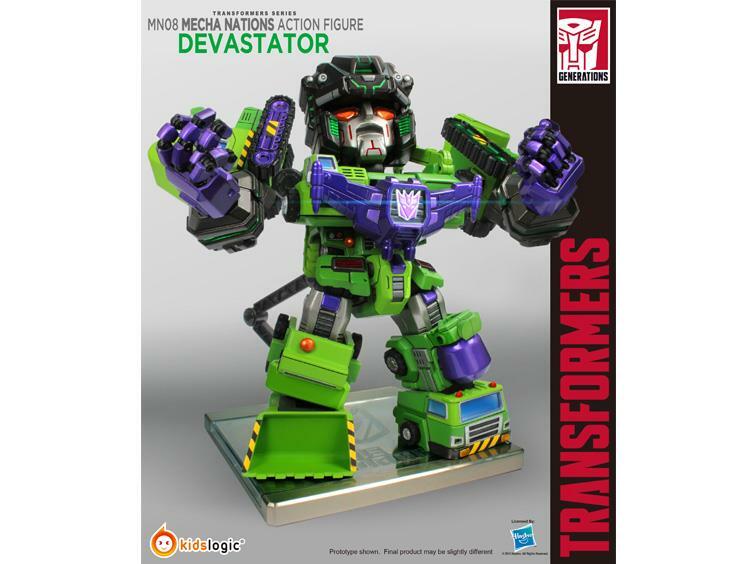 Also included is a red goggle part.